Unfortunately, oral cancer is on the increase. More and more patients are affected by this life changing disease and it is estimated that thousands more will be diagnosed over the next ten years. It is vital that patients are checked for early signs of oral cancer and we offer screening appointments to fully examine your mouth and catch any warning signs as early as possible. 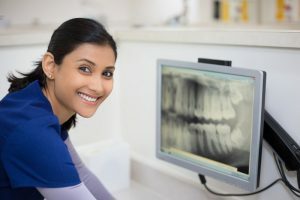 At Northway Dental Practice, our dentists are fully trained to spot abnormalities in the mouth, on the tongue, lips or gums and all our patients are offered the option of a mouth cancer screening appointment. Also known as oral cancer, it occurs when tumours or lumps develop in the mouth, on the tongue, lips or gums. While the exact cause is unknown, smoking is considered one of the major risk factors. Our team can provide smoking cessation advice if you would like to give up. Please click here or call 0151 526 2701 to book your mouth cancer screening appointment now.